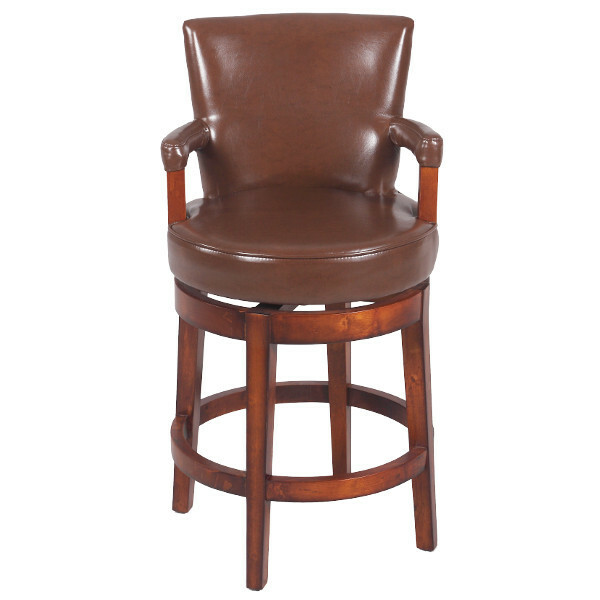 Swivel Solid Birch Stool. Antique brown finish. Upholstered in brown leather.